copenhagen-based students kostantinos frantzis, ana catharina marques and markus schmeiduch from CIID have conceived a ‘morse code light signal installation’ that transmits messages received from twitter. 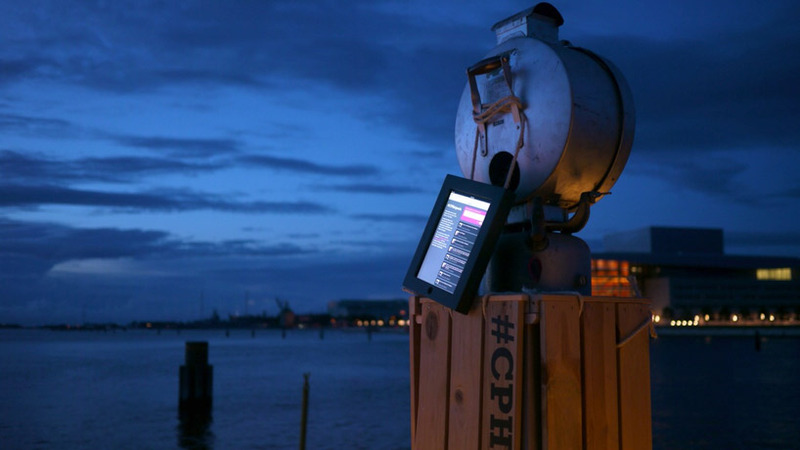 the project interactively connects two copenhagen harbours through the application of old maritime communication, by integrating a modern interpretation of message distribution through social media. using antique signal lamps and iPads, the intervention showcases traditional marine culture in the danish town by re-contexualizing information exchange. the set-up incorporates arduino, where an interface decodes information and translates them onto two twitter accounts on both sides of the harbour, where users can freely network to broadcast their messages.